Tempe, Arizona—Elaine Herzberg has been identified by the Tempe Police Department as the victim in the crash that occurred last night involving an Uber self-driving vehicle. According to the Tempe Police Department, the Uber vehicle was headed northbound on Mill Avenue near Curry Road when it struck Ms. Herzberg. 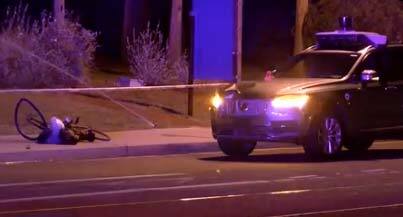 Although initial reports describe Ms. Herzberg as a pedestrian walking across the street, photographs from the scene include a damaged bicycle lying near the point of impact. Some reports suggest that Ms. Herzberg was walking the bicycle across the street when she was struck. The Uber vehicle was in the autonomous driving mode when the collision occurred. The accident investigation is likely to include numerous agencies, including the Tempe Police Department, National Transportation Safety Board and Maricopa County Attorney's Office. Uber has indicated that it will cooperate in the investigation and temporarily ceased operations of its self-driving vehicles in Phoenix, Pittsburgh, San Francisco and Toronto. We offer our condolences to Ms. Herzberg's family and friends over their tragic loss.